Every day you get to decide what type of consultant you will be. Decide to be great. 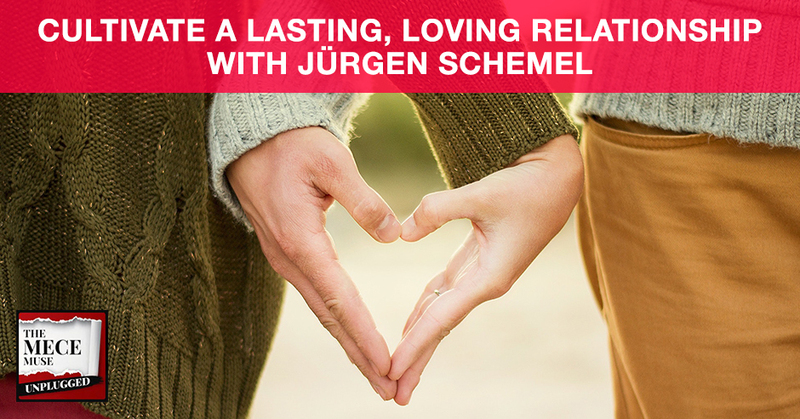 Jürgen Schemel is an author & business strategist from Germany now based in Australia and relationship expert of Inspiring Relationships Expert. Jürgen is a mathematician and business analyst who says he has worked out the formula for a successful marriage. Over the past 24 years, Jürgen realized that he and his wife are doing things differently in their marriage from others. Some of their behavior was conscious, some more on the unconscious level. And with more and more relationships all around the world deteriorating, Jürgen decided to bring his wisdom and coaching to the people. He started his Inspiring Relationships only in January 2017, but already had so many discussions and sessions with people searching him out for advice and guidance. His mission is to inspire thousands of men yearly to stay in loving, respectful relationships. In this episode, Jürgen shares perspectives and tips on how you can cultivate a loving relationship while juggling a demanding career. Eric Williamson is a nationally recognized keynote speaker, workshop trainer, and author of the book, “How to Work with Jerks: Getting stuff done with people you can’t stand.” He’s also a consultant focused on helping organizations strengthen relationships with colleagues and clients by creating an atmosphere where employees are engaged, valued, and developed into leaders. Eric shares the backdrop of why he decided to write the book and how you too get stuff done working with people you can’t stand. 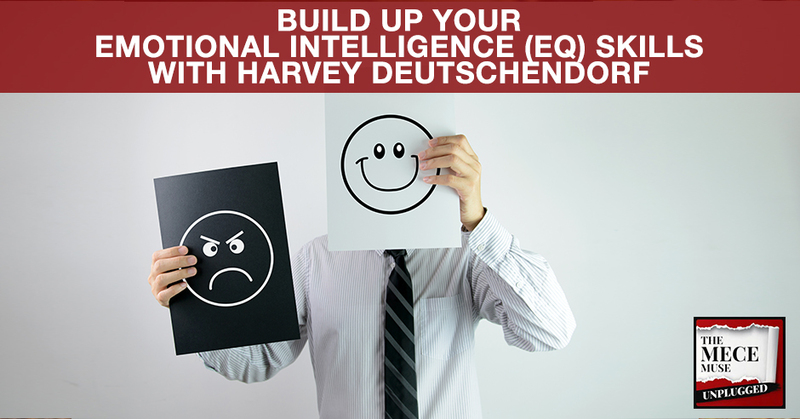 Harvey Deutschendorf is an emotional intelligence expert, speaker and internationally published author of The Other Kind of Smart, Simple Ways to Boost Your Emotional Intelligence for Greater Personal Effectiveness and Success. In today’s episode, Harvey shares his own personal journey, how he discovered the importance of emotional intelligence, and provides tips on how you could further explore building emotional intelligence as a skill towards your journey to greatness. Really important conversation with Celeste “The Therapist” Viciere, a licensed mental health clinician, author, and cognitive behavioral therapist. 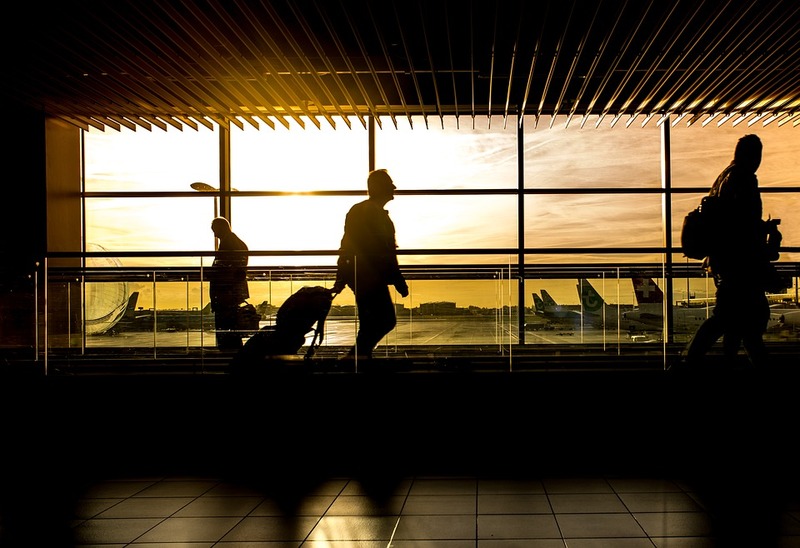 With the world’s sudden loss of legends Kate Spade and Anthony Bourdain, mental illness is a topic that is rarely discussed openly, yet more and more people are affected by it. 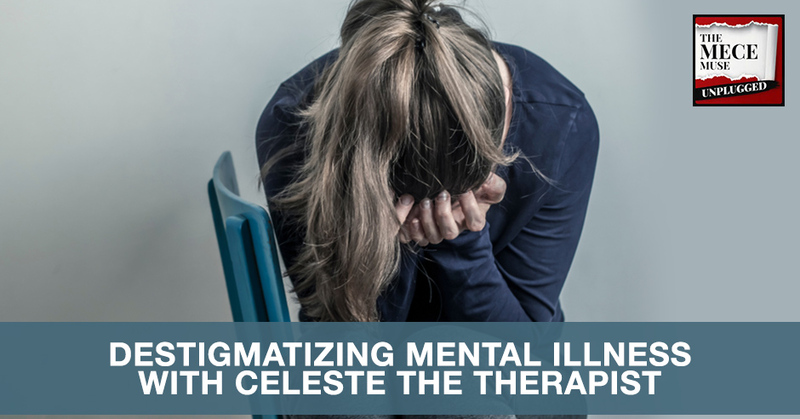 Celeste peels back this topic, sharing insights on surprising mental illness symptoms, how behaviors may trigger, and what you could do if you or someone you know may be exhibiting chronic depression, anxiety, or suicidal behaviors. Quick wins interview with Kit Pang, strategic communications expert and Founder of BostonSpeaks, one of Boston’s leading professional development organization providing training in communication, leadership and business. As a speaker and seminar leader, Kit is on a mission to help individuals become exceptional speakers and communicators. Kit’s seminars and talks have been credited as super fun, engaging, soul-searching and insightful. 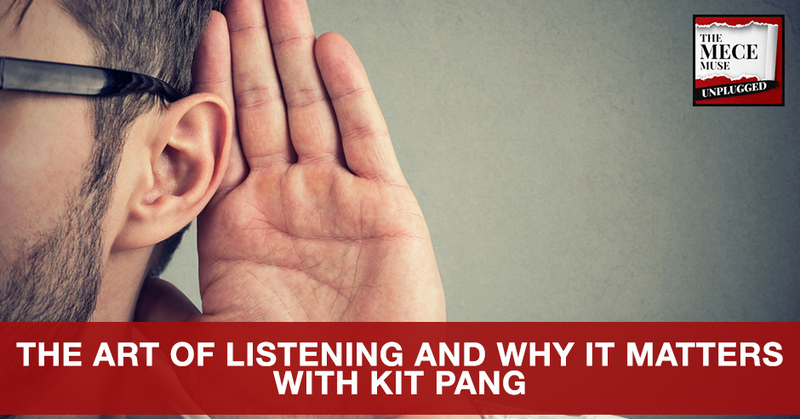 In this episode, Kit shares specific tactics on how you could become an effective consultant through the art of empathetic listening. 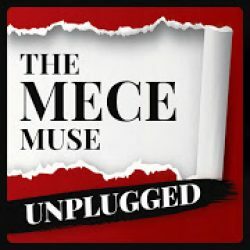 Sign up for the latest MECE Muse Unplugged Podcast show updates and information on the upcoming book release.